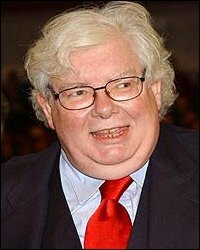 Today - July 31st - Richard Griffiths, the actor who plays Uncle Vernon Dursley in the Harry Potter films, celebrates his 62nd birthday! Mr. Griffiths has had a long and prestigious career on film, stage, television and radio. He is also well known by Harry Potter fans in other projects with his Harry Potter co-stars such as Equus with Daniel Radcliffe and Ballet Shoes with Emma Watson. Happy Happy Birthday!!! I didnt know his birthday was on July 31st too!! So cool!! Well... Happy Birthday to Mr. Griffiths!!!!!!!! He is an amazing actor not only in the movies, but also in theater...I had the pleasure of seeing him in NYC in Equus with Daniel and they are both great and the chemistry between them is awesome. Lucky as I would like the same birthday day Rowling!! He's got the same birthday as Harry AND Jo. Very cool. ^ I suppose, since he was born first, they technically have his birthday. HAPPY BIRTHDAY, RICHARD! You rock! Happy Birthday Richard! Hope you enjoy your day!